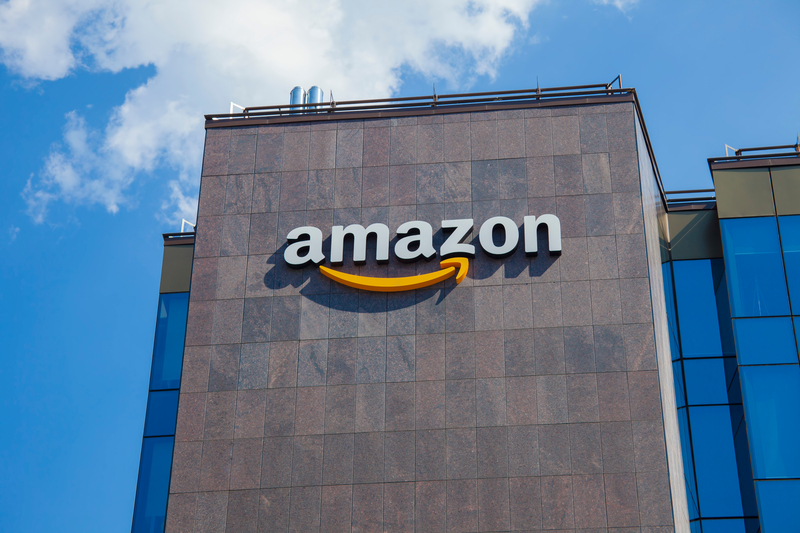 National CRE News: Amazon's HQ2 Hunt Continues | Calco Commercial, Inc.
After Amazon gave his county a painful snub in January, David Iannucci is stuck exactly where 19 communities may find themselves in coming months: trying to market sites that online retailer Amazon rejected for its new $5 billion second headquarters. Iannucci, head of economic development for Maryland’s Prince George’s County, said he’s been in talks with “several dozen” companies since the world’s largest retailer rejected the county’s bid for its second headquarters, known as HQ2. Many of those companies are looking to move from nearby Washington, D.C., including tech and cybersecurity firms. Those companies aren’t promising to bring 50,000 jobs, like Amazon, though. More like 300 to 400 apiece. And here’s the real peril for other losing cities: After eight months, Iannucci still has no takers, just talkers. For cities from Boston to Atlanta, the effort to woo Amazon has led officials to come up with development plans for long-fallow areas they can quickly turn around and pitch as facility sites for other companies if they meet the same fate. In Newark and Denver, officials say they are positioned to attract other companies should Amazon reject them, Atlanta’s mayor is urging steps that could position the city to find other companies after a rejection, and Boston already has an alternative in place. To a greater and lesser extent, the 20 finalist cities are beginning to grapple with an irrefutable truth: All but one will lose this commercial real estate beauty pageant. Most of the sites proposed as HQ2 homes are too large to quickly market to another company other than Seattle-based Amazon because the list of U.S. corporations needing that kind of space can be counted on one hand. In some cases, the process of applying itself was edifying: Officials in finalist cities Newark and Denver both say the process raised their profile as legitimate hosts for corporate headquarters. They hope that could pay off down the line, even if Amazon passes them over. “There is a lot of excitement in the development world about the possibilities for Amazon,” said Richard Dunn. He’s vice president of operations at Paramount Assets, an investment firm that owns about 40 properties in downtown Newark. Whether or not Amazon picks it, the proposal process has elevated the city’s profile not only nationally but internationally in a tangible way, local officials said, and they intend to build on that momentum. The same goes for Denver. Sam Bailey, who, as vice president of the Metro Denver Economic Development Corp., is managing the state’s bid for Amazon’s second headquarters. He said there’s now a burgeoning pipeline of 31 active prospects for space that represents more than 12,000 jobs and about $1.5 billion in capital expenditures from entrepreneurs to Fortune 500 companies. Denver winning a spot on Amazon’s short list has been noted about 30 percent to 40 percent of the time in those discussions, Bailey said. “We always looked at this as if we don’t win HQ2, we’re going to make the most of this opportunity to showcase to the world everything that is going on in our region,” Bailey said. It will put Denver on the minds of future executives looking for new corporate digs, he said. “The experience, the notoriety, the visibility – we could’ve spent millions of dollars and never have gotten the exposure we’ve had,” Bailey added. Other finalists aren’t so sure. Austin, Texas, another member of the 20-region shortlist, has endured a long local debate about what inviting the corporate giant into their city might do to it: raise rents, increase traffic, mess up the balance of the artsy city’s culture. “I don’t know that we want to be” Amazon’s second home, Austin Mayor Steve Adler admitted this past March. A poll conducted by Elon University and American City Business Journals found 13 percent of Austin locals don’t want their city to host Amazon’s second headquarters, second only to Denver, at a whopping 17 percent. The full details of what Austin has offered to Amazon are between the city and the online retail giant, but if the mayor’s comments are any indication, Amazon was left wanting. On the day of Amazon’s shortlist announcement, Austin Mayor Steve Adler reiterated the reluctance of city leaders to extend tax breaks and other incentives in order to lure Amazon HQ2. In other cases, the competition itself sparked questions about economic development. How far was a city willing to go to land a whale like Amazon: Would it offer free land, reduced taxes or no taxes? Atlanta Mayor Keisha Lance Bottoms last month urged the City Council to support proposed incentives to make a site leaders see as critical to downtown Atlanta more appealing to developers. Known as the Gulch, the site is a former railyard that covers 30 football fields worth of land near CNN Center and Mercedes-Benz Stadium, and has lain fallow for decades. While the city hasn’t officially confirmed it is the site for its bid for Amazon’s headquarters, several council members said they believe the incentives push is designed to help in the city’s bid to land HQ2. With or without Amazon, Bottoms said the city has a “once in a lifetime” opportunity to redevelop the Gulch and stressed that developer CIM would assume all financial risks of the $3.5 billion development. She added that the redevelopment of the Gulch “will ultimately generate tens of millions of dollars a year in tax revenues” and create thousands of jobs. The mayor’s push for incentives so late in the Amazon selection process would leave the city in a stronger position to find alternative companies to occupy the site should it not be selected as home to HQ2, city leaders said. Other cities are also not making the HQ2 battle their only priority. In Boston, the primary site for a possible new headquarters is at Suffolk Downs, a 161-acre former horse-racing track that straddles Boston and the northern suburb of Revere. Long under-used, the site has been the subject of several redevelopment efforts over the years. In 2017, Boston investment firm HYM Investments paid $155 million for the site. It was offered up as an HQ2 contender, but some preliminary plans have also called for a massive mixed-use project with apartments, for-sale homes and office and retail space. Whatever happens, according to HYM, the firm will keep shopping the site. That day-after thinking is starting to pervade most planners in HQ2 finalist cities. And Iannucci, of Prince George’s County, thinks that’s the right attitude. His bid didn’t make it, but bids in nearby Washington, D.C., Montgomery County, Maryland and Northern Virginia did. Any of those sites, if picked, could have a spill-over effect – jobs, housing demand – for Prince George’s. “We stand by ready to help [those finalists] any way we can,” he says. Still, as 19 other cities will discover it hurts to be told no. Contributing to this article are CoStar News Reporters Kyle Hagerty, Linda Moss, Jennifer Waters and Tony Wilbert.